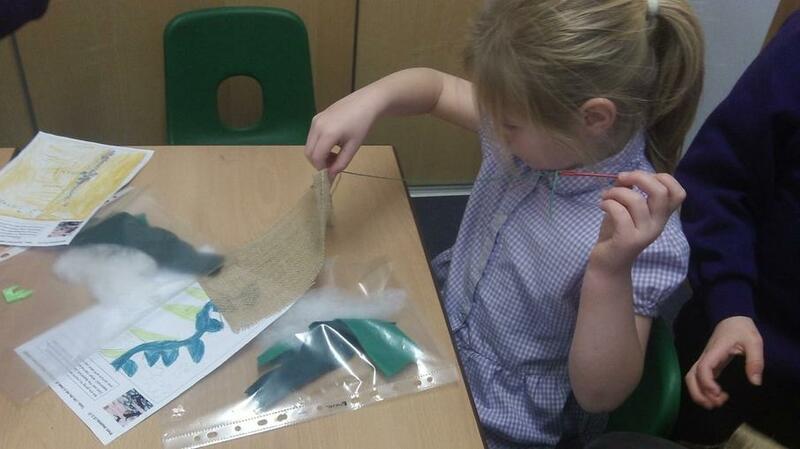 This week we have begun to create our own textile pictures of Jack and the Beanstalk. 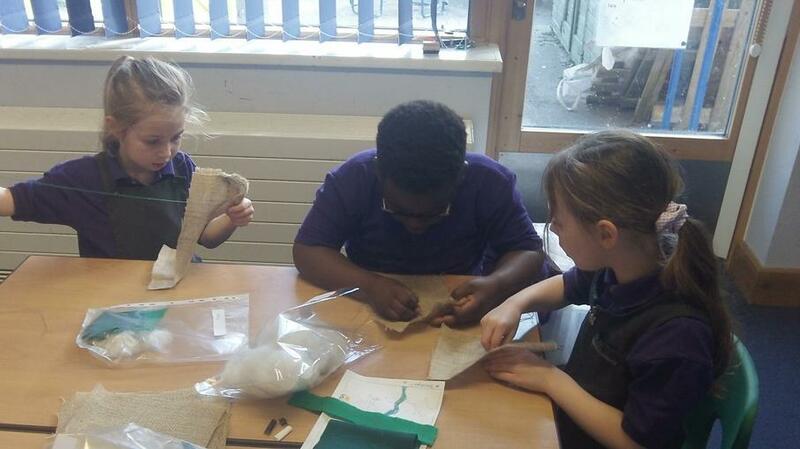 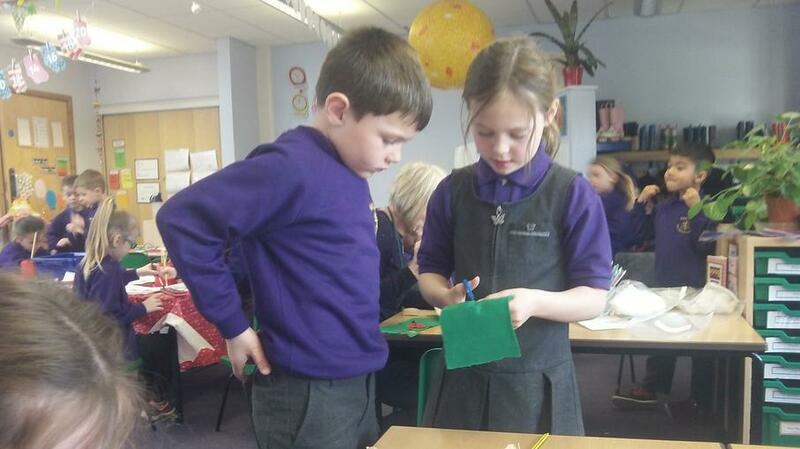 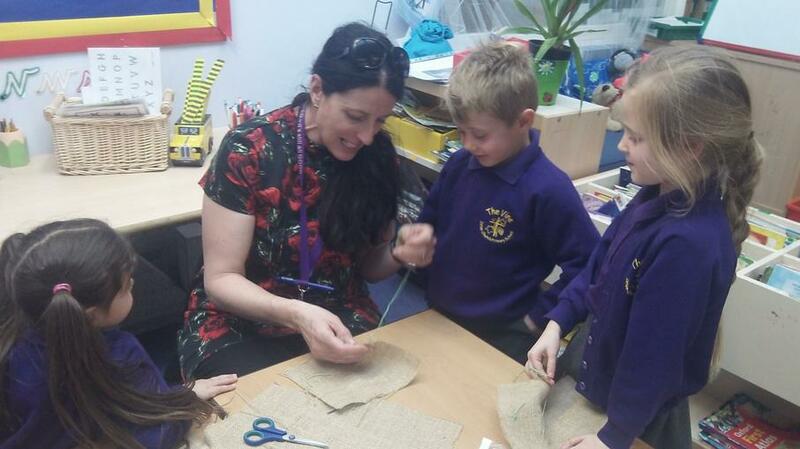 We have been practising joining fabric in different ways including by stitching. 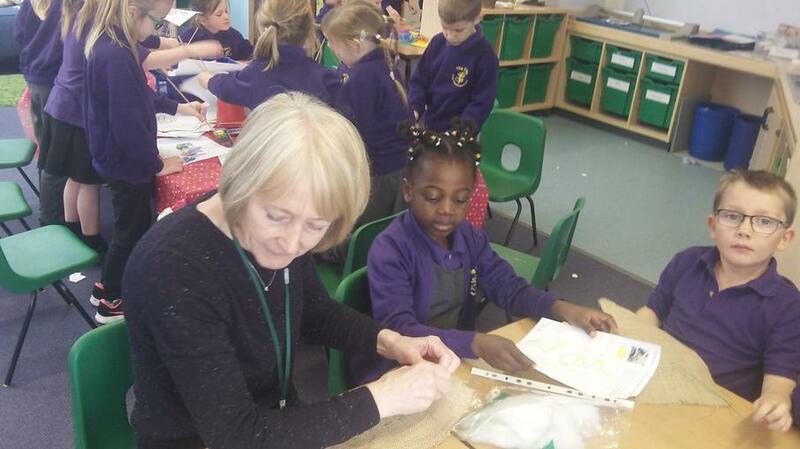 We were really lucky to have Sheila and Marit from the Cambourne Crafty Ladies come and help us.